View your flat or house as your fortress and remember that the only way to defend that fortress from the flu is by taking your cleaning routine and strategy to a whole new level. Doorknobs, remote controls, light switches, toilet flushes, soap pumps… These are just some of the things which all members of a household get in contact with on a daily basis. That is why these are usually the dirtiest and most germy places in a home. Pay extra attention to them when you clean and wipe them every single day during the flu season. Not all cleaning detergents are a match for the stubborn flu. Check if the products you use and have at home contain one or more of the following ingredients: iodophors, chloride, alcohol, hydrogen peroxide. These components effectively kill off viruses and bacteria. If someone home happens to be down with the flu, you may need to switch to disposable utensils. Use plastic plates, cups, forks and knives for a while to ensure that you will be less exposed to seasonal influenza. Stuffy and poorly ventilated rooms is where viruses thrive. So, do not forget to open your windows several times a day even when the temperatures are extremely low outside. Cracking your windows open for 10-15 minutes every morning and every time before you go to will make your flat or house a less attractive environment for the flu. Hand towels in the kitchen or the bathroom are also a hot-zone for viruses because they are used by everyone in the household. Plus, they are almost always damp which means that they are an excellent breeding ground for bacteria. Therefore, wash them as frequently as you can. An even better idea would be for you and your family to use separate hand towels if that is possible. 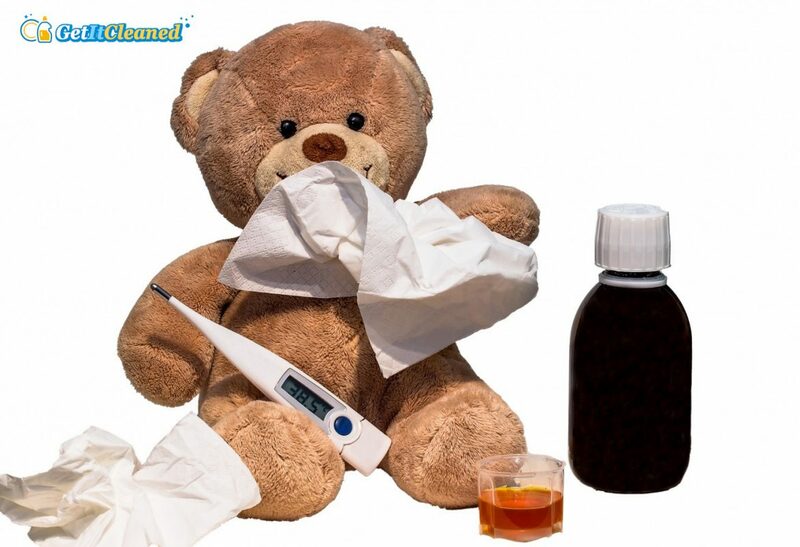 Follow these tips and you will increase your chances at surviving the flu season unscratched. Clean your way to a healthy start of the year. That may take a little more effort on your side but it is all for a good reason.